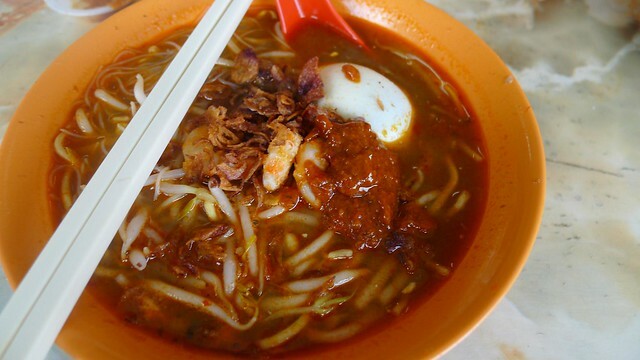 I am still always in search for the best, “closest-to-Penang’s-taste” hokkien prawn mee and asam laksa but still not finding any, I remembered the prawn mee at SS15’s Asia Cafe was nice but still not the closest yet. I always Google to find for one and recently I found the one in Seapark, many people talked about it and so I went to check it out. 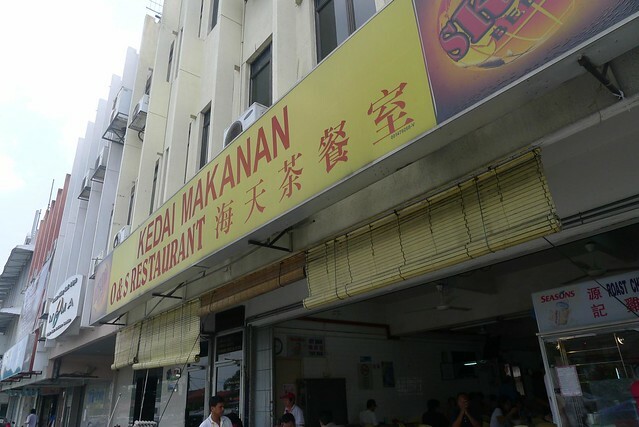 The kopitiam name is called O&S Restaurant, located in Seapark near the Esso petrol station. 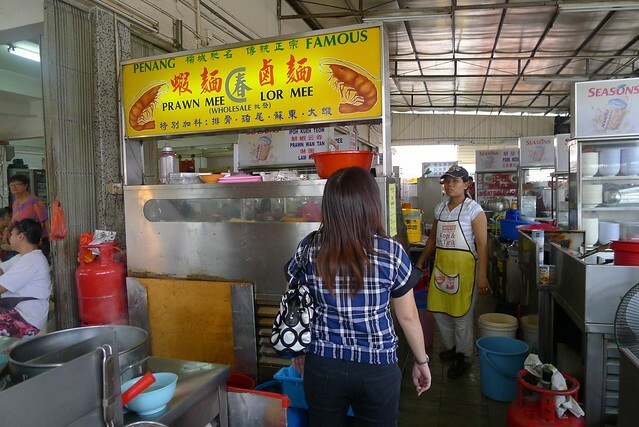 There’s actually another asam laksa and hokkien prawn mee stall in Seapark. I ordered the hokkien prawn mee first as my lunch. It looks awesome, there’s egg, there’s beansprout, there’s mini prawn. However what I don’t like is the chilli paste. It’s not spicy at all and doesn’t add spiciness into the soup. It’s like those Cantonese kind of not-spicy prawn sambal. If it’s more spicy then the hokkien mee will be good, it’s a little bit too sweet in my opinion. So this is not “close-to-Penang”. 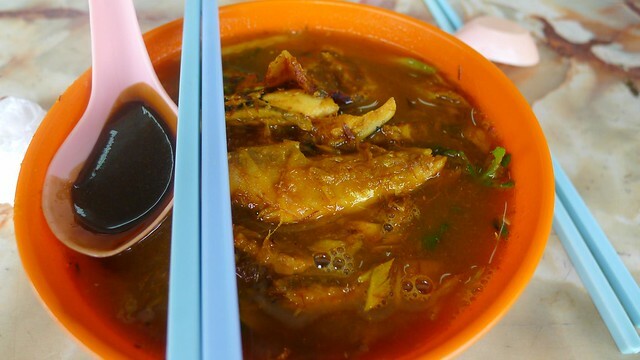 Then I ordered the asam laksa too, the same stall that sells curry laksa which we normally call it curry mee in Penang. 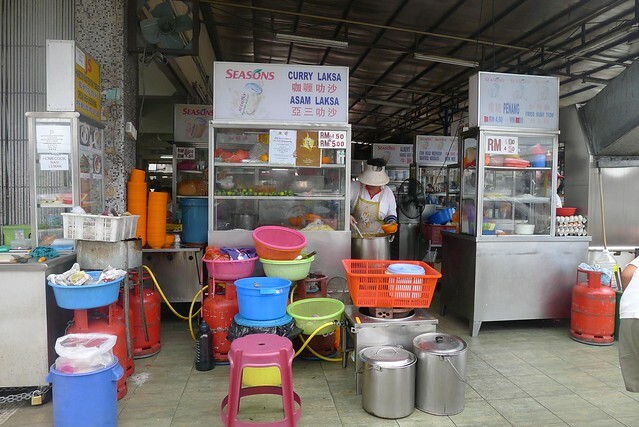 I wonder why they like to sell curry laksa and asam laksa in the same stall. It takes like 15 minutes for the order to arrive and I was thinking it will be great. It came and I saw nice big fish, however it’s a little bit too sourish.